A look at the original, to read more 1970s bathroom. 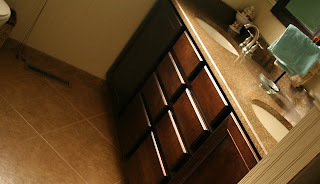 One of our biggest and most time consuming remodels was our upstairs bathroom. But if you could have seen it before! Okay, you asked so I'll show you. See? Not pretty for sure. Oh yeah, I did a few temporary updates like painting the turquoise wall tiles and painting the cabinets. Only good this did was to eliminate some of the turquoise that was originally in this room. Can we say obsessive? I was never happier than to start ripping that old tile out! 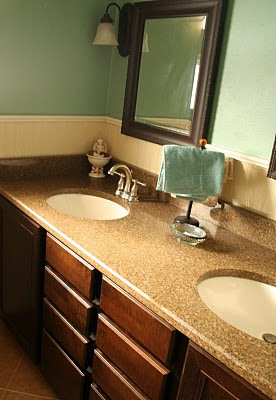 New bathroom vanity, quartz countertops and sinks installed. 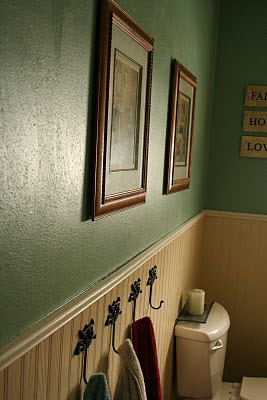 Wainscoatting, new paint color and toilet of course! that left a big, square, hold in the wall after removal! Huge transformation that was finished almost three years ago. Time for a little refresh in the near future! Soon as it gets cool enough to even think about painting on the second floor! 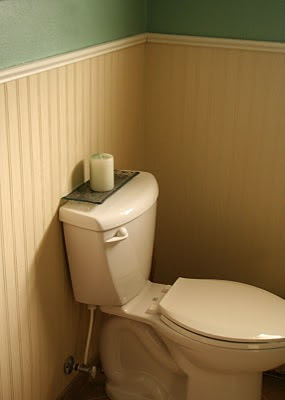 Your bathroom looks fantastic. Great job. Love your choice of colors...great transformation! hi, you did a great job! 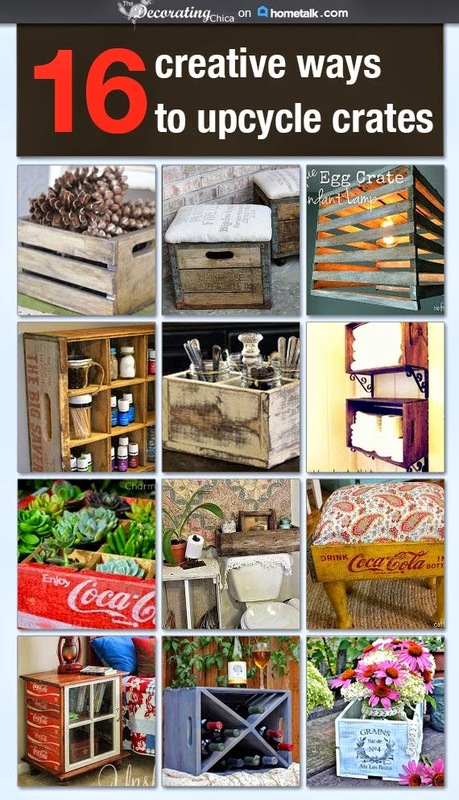 Fyi: your blog comes up as non existant from the Thrifty decor chick site. The color palette is amazing. Nicely done! What beadboard did you use and how high does it go? 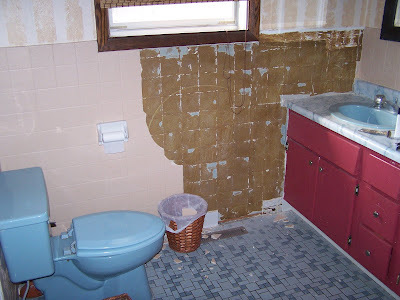 I'm in the middle of a bathroom reno and actually decided against beadboard because we just couldn't find the right stuff - it was either 3 feet high (too low) or else we'd have to buy big sheets and have them cut, which we just didn't want to mess with.